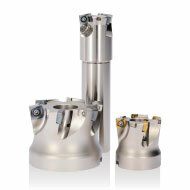 First class tooling solutions for an industry that depends on constant innovation. 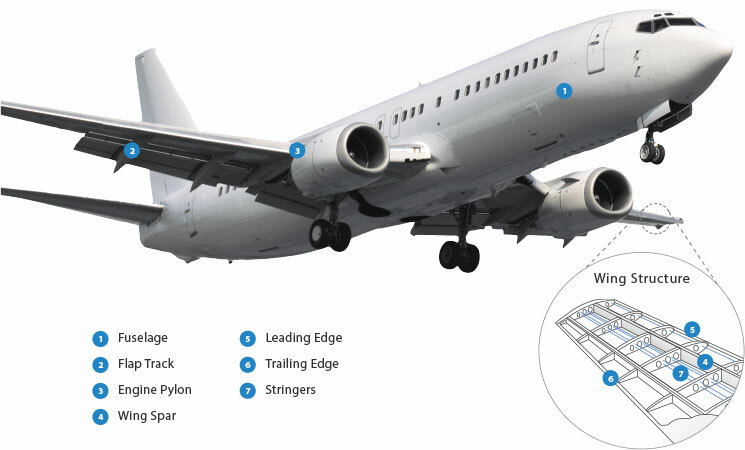 Long tool life, machining quality and repeatability are key components in manufacturing parts that meet strict industry standards while allowing you to grow as a profitable aerospace manufacturer. 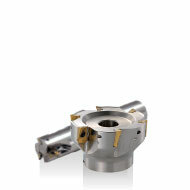 Small diameter high feed milling used in machining Flap/Slat Tracks and Engine Pylon structures. 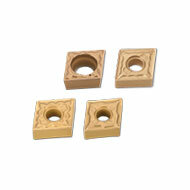 Great for pocketing, roughing, and slotting in difficult-to-cut materials. 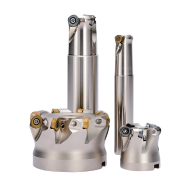 MFH-RAPTOR high feed mills capable of high metal removal rates are required when machining large titanium parts such as Wing Spars. 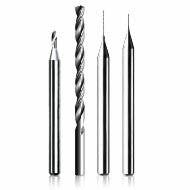 The M-Four (MEW) milling series using PR1535 insert grade is great for pocket milling difficult-to-cut materials such as 15-5 PH or similar stainless steels. 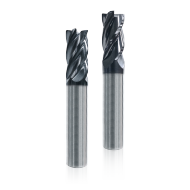 MEC high-efficiency milling cutters are ideal for generating low cutting forces during heavy stock removal on workpieces that are difficult to fixture such as Wing Stringers. 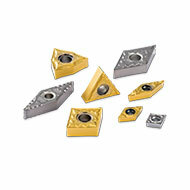 Variable Helix APOLLO end mills are used to maximize tooling efficiency offered by advanced programming techniques used in machining Engine Blisks & Stators. 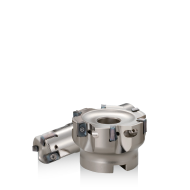 Utilizing the RAD-6 (MRX) radius milling cutters with low cutting forces will reduce chattering for thin cross sections such as Engine Blades & Vanes. 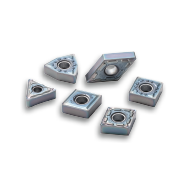 Use our PR13-Series insert grades to eliminate edge build up and chatter when machining Fan Casings and other titanium alloys. 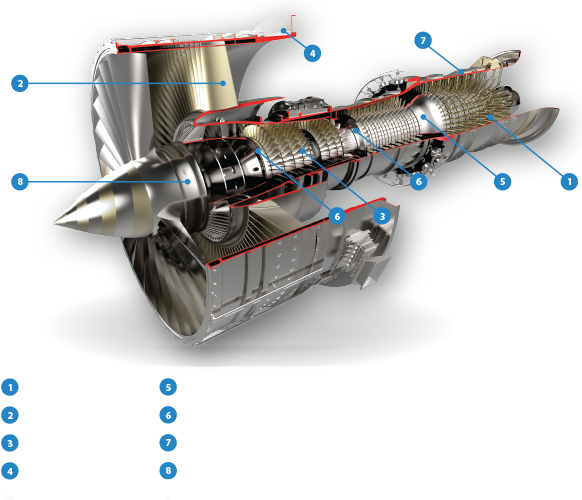 Our PR1535 grade is a perfect grade for machining titanium and heat-resistant alloys leaving the high surface finish quality necessary for machining Engine Spools. 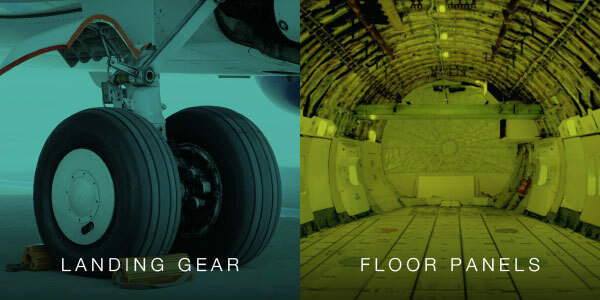 Cutting tools with high wear resistance are necessary to prevent size variations or taper over the full length of cut for Landing Gear applications. 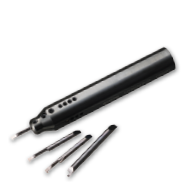 Micro diameters and deep hole drilling. 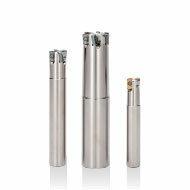 Our drills are utilized in drilling Honeycomb materials that need careful machining to prevent tearing and compressing. 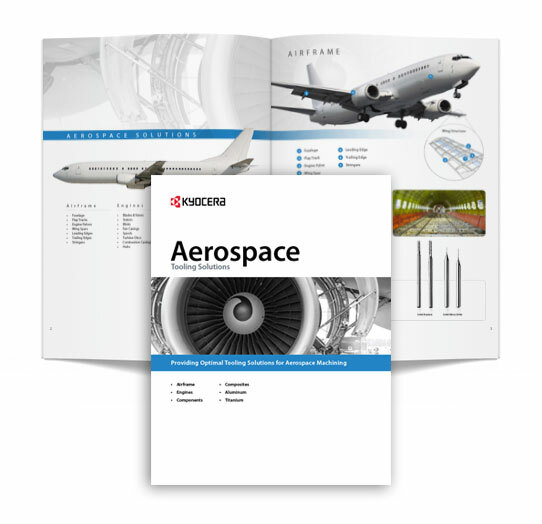 Use TN620 and PV720 cermet grades for high quality steel surface finishes. 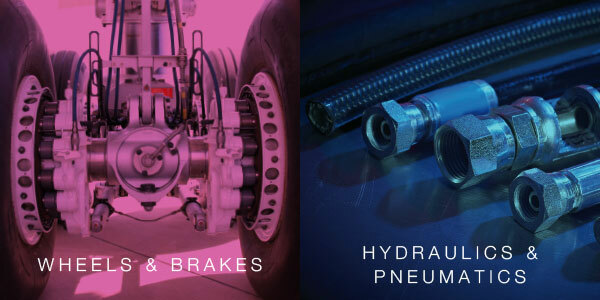 Surface quality is extremely important with the amount of stress on Wheels & Brakes. 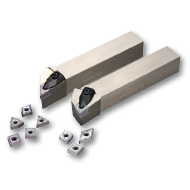 With heavy depths of cut and low feed rates, a large line-up of small tools including our EZ Bars can be utilized effectively in small internal boring of Hydraulics & Pneumatics.